This 15ft cord kit works perfectly with any paper lanterns. 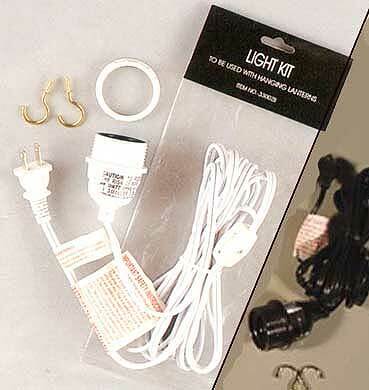 The kit includes an in-line switch and easy-to-install ceiling hanger. 100-watt maximum capacity. UL listed. Available in White or Black cord.